I don’t find any specific adjective to describe my hubby’s unintelligent way of doing grocery !! Every time he goes alone , I know I’ll be pissed off looking at the shopped items !! Few days back he bought 4 bottle of honey at the same time !!! C’on , are we the bear family from my son’s animation book , who only lives on honey !!!! I was thinking of making the best use of it . The first thing came to my mind to do with it is to make a pound cake !! Honey pound cake !! Because of the honey , the cake is super moist . Just loved it !!! 1. Pre heat the oven to 350 FH and line and grease a 9x 5 loaf pan . 2. Sieve the flour and baking powder . Add the lemon zest into it . 3. In a large bowl with an electric hand beater , beat the sugar , butter and oil until fluffy . Add the honey . Beat . Add eggs , one at a time . Add the milk and stir . 4. Fold in the flour with the egg mixture in three batches . 5. Pour it into prepared loaf pan and tap for few times to release air bubble . Bake immediately in the pre-heated oven for 40 minutes or until if toothpick inserted comes out clean . 1.The surface of the cake gets colored soon than the bottom . So you can cover the cake with aluminium foil like a tent until the cake has risen, for about 20 minutes later you put the cake pan into the oven . Then remove the foil and let it bake uncovered for the rest of the time . You will get nice golden brown color on the top. 2. The baking time may vary depending on each oven . 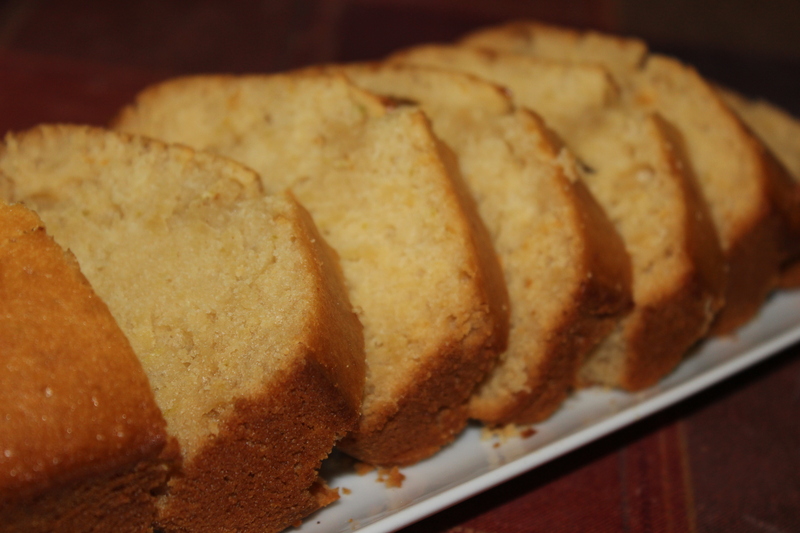 This entry was posted in Desserts and tagged cake, pound cake. Bookmark the permalink.